Hundreds of young people held a Schnippeldisko, an evening of dicing vegetables and dancing, in Berlin on Friday night to highlight their concerns about food waste. Hundreds of young people gathered in a Berlin market hall on Friday night for a Schnippeldisko, an evening of dicing vegetables and dancing. "This is the coolest movement for fighting food waste at the moment," said Bastien Beaufort, who came from Paris to chop onions, dance and deliver a message. "Today there is almost between one-third and half of all the food produced in the world is wasted for economically absurd reasons and morally very condemnable reasons. One billion people is suffering from hunger in the world and we try to raise awareness through a simple, funny and dancing way: the soup disco." Nearly a tonne of vegetables that don’t meet industry standards for shape and size were donated for the event. 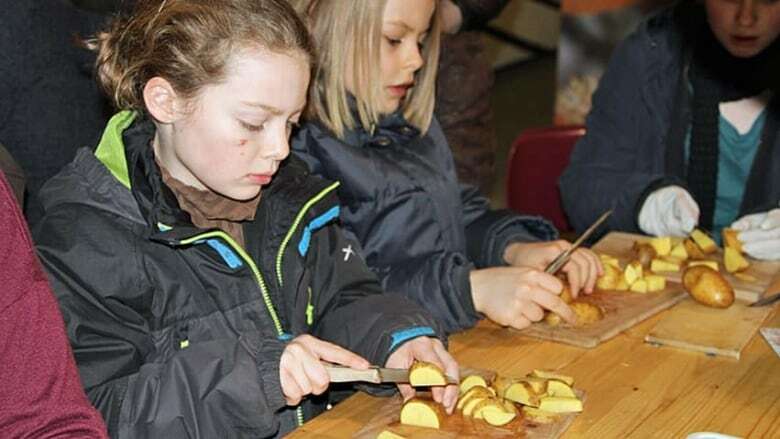 The vegetables were chopped and made into soup for people attending Saturday’s demonstration, said Keighley McFarland, a volunteer with Germany’s Slow Food Youth Network. "We really want to raise awareness about food waste because it’s a huge issue, mostly from the distribution side," she said. "Most of this food would’ve rotted in farmers' cellars. It doesn’t make it to stores so consumers don’t even see it." McFarland and others said they want to draw attention to government policies that produce food waste. But Harald von Witzke, a professor of agriculture economics and president of the Humboldt Forum for Food and Agriculture, said government is not the biggest problem. "Most of the food waste happens in my refrigerator," he said. "In a market economy, the consumers get what they want. If they don’t want little carrots because too much work to peel, they don’t buy them. Ninety per cent is driven by consumers and 10 per cent probably by government regulation."